The signs your dog may have arthritis can vary greatly. Although this list is mostly for dogs it also applies to cats as well. This is not a complete list by any means and is not to considered as medical advice.If you see any of these signs, no matter how minor they seem to you. Remember your dog or cat cannot come out and tell you that they are in pain, sometimes you can see it in their eyes, sometimes you can’t, but you can always tell by their posture and behaviours. So if you see any of these please take your pet to the veterinarian. You may see your pet favoring one leg more than the others, or the front versus the back and vice versa. It may be all the time but it is usually more noticeable when your pet first rises from resting. As your pet is moving around and warms up the stiffness and favoring will disappear for a while. You may see your pet favoring one leg more than the others, or favouring the front legs versus the back legs and vice versa. Your pet may be reluctant to run and play like they used to. They may want to jump up on the couch with you but can no longer or they resist because they know how much it will hurt getting down. They may have great difficulty getting in and out of the car or up and down the stairs. If you have a cat you may notice that they are suddenly reluctant to jump up on countertops and other high places where they use to perch. What used to be fun and play is now labor and pain. Keep an eye on how your pet is eating, not just how much but how they eat. Is your pet having difficulty eating from a bowl that is on the floor? Do they have difficulty moving their neck? Shoulders? When your pet walks is there a noticeable hunching in their back, do they have lameness in one or both of their hind legs? Your pet may become irritable. They may shy away from you when approached, they may snap at you or bite you when being handled or petted, especially if the petting or if you are lifting them in a manner that increases their pain. Pay close attention to your dog’s/ cat’s legs, do they look smaller or thinner then they used to? Look closely at the hip area. Muscle atrophy is the shrinking and wasting away of muscle tissue due to inactivity. 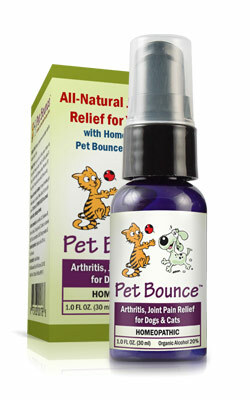 This is very common in animals with arthritis as the animal will not want to move about much. Many animals will lick, bite and chew on parts of their body that has arthritis, for example, it is common to see a dog lick and gnaw at its knees even to the point where you can see bald patches and some will even draw blood. This can be very dangerous as infection can set in. A good indication and very common symptom of arthritis is swelling of the joints. Sometimes the joint may be warm to the touch and very painful when with the slightest amount of pressure. If only one joint is swollen this is usually caused by infectious arthritis, but could also be other forms as well. This may not be as obvious or as noticeable as the other symptoms because it can depend greatly on how well you hear. One way to test is to have your pet sit then stand, all the while you place one hand on one of the joints like a knee and you may feel the clicking, you then repeat the process with the other joints.